I achieved my first B score in Battle Garegga! B.87 Million as Gain. Lunatic 1cc of Story of Eastern Wonderland without Dying or Bombing. Hi! I'm Pearl, Im not that good at intros lol Ive been a STG player for 3 years now, Main focus being the Touhou Games but now pushing into arcade territory Main input method is keyboard; stick and pad hurt my hand too much. I play arcade STG on MAME due to my input method. I guess I can list some of my accomplishments here? 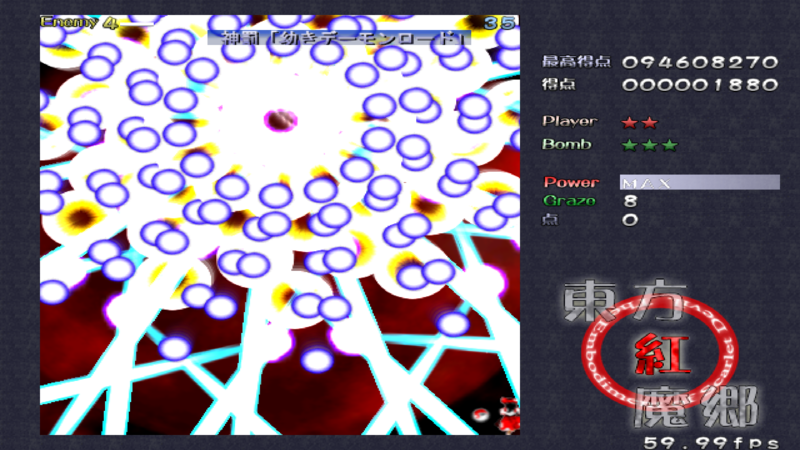 All Touhou games Lunatic 1cc Touhou 1, 2, 4, 6, 7, 8, 10, 11, 12.8 Lunatic nobomb 1cc Touhou 2 Perfect Lunatic 1cc DP/DDP/DOJ/DFK 1-ALL Batrider advanced clear Mushi Arrange clear Battle Garegga 1CC Battle Garegga 10.5M score Full list here https://pastebin.com/Ge7CLU0S Im happy to be here and excited to see this forum grow!